Unlike other Bluetooth hearing aids, you can answer your phone calls by pressing a button on your hearing aid. Instead of your voice being picked up by your phone mic, the hearing aid uses its own mic system. That means you can leave your phone in your pocket or purse during a phone call! 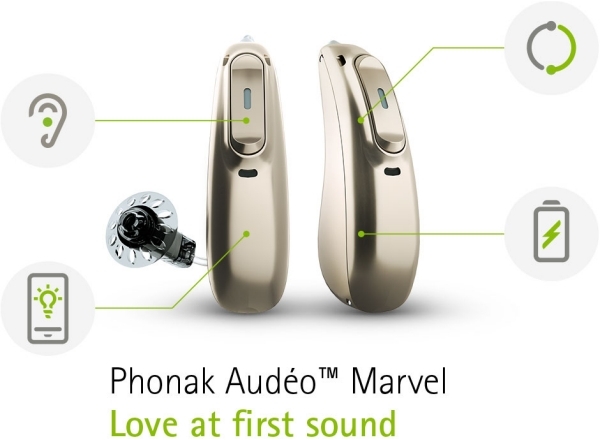 Along with wireless connectivity, the Phonak Marvel offers a fantastic rechargeable option! Contact us to start your at home, risk-free trial!